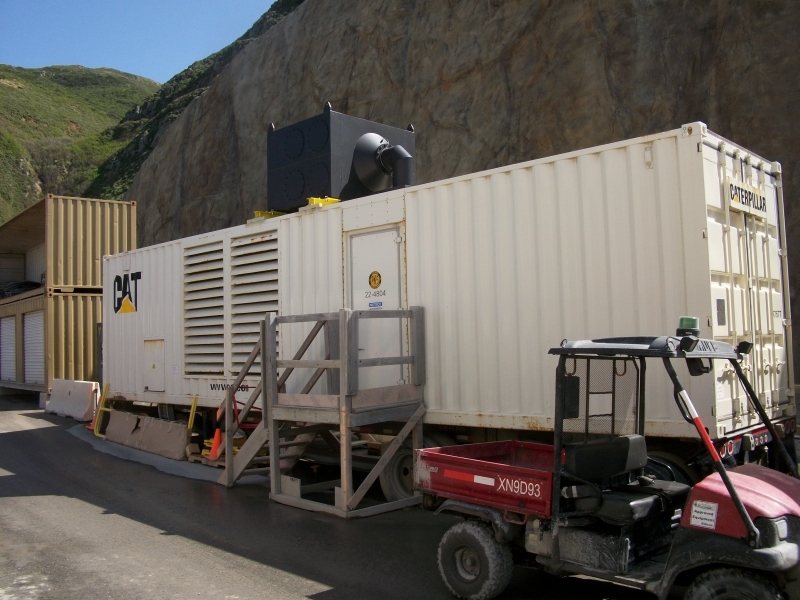 A large construction and mining organization located in California required a CARB verified level 3 plus diesel particulate filter housing to retrofit their Caterpillar XQ1000 Standby Generator equipped with a Caterpillar 3508B engine powered at 1502hp. DCL engineers needed to design a large DPF housing according to the customer's request to provide a unit with minimal backpressure and the ability to easily service and maintain the individual DPF elements. DCL custom designed a CARB verified level 3 plus MINE-X SOOTFILTER® diesel particulate filter housing consisting of 8 catalyzed cordierite filters matted and canned in stainless steel shells within a large 75" X 75" X 60" carbon steel housing. The unit was designed to produced low backpressure and the ability for one service technician to remove the individual DPF elements for service/maintenance. The unit is painted in a high temperature flat black finish, equipped with mild steel flanges, and customer specified end connections. 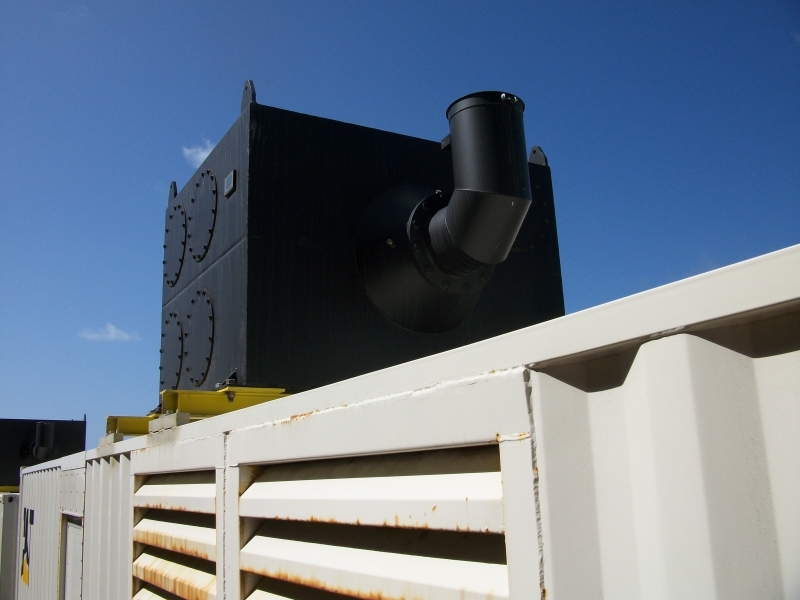 The unit is passively regenerating, reducing particulate matter by more than 85%.